A silicone-molded dampener that reduces vibration while maintaining exceptional feel on all shots. Fits all racquets. Available in 3 piece card or 60 piece bucket. 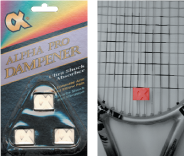 A snake-type dampener that weaves through strings for ultimate vibration dampening. 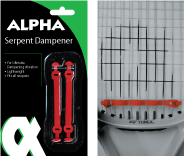 The serpent dampener is lightweight and fits all racquets. Available in 2 piece card or 60 piece bucket. 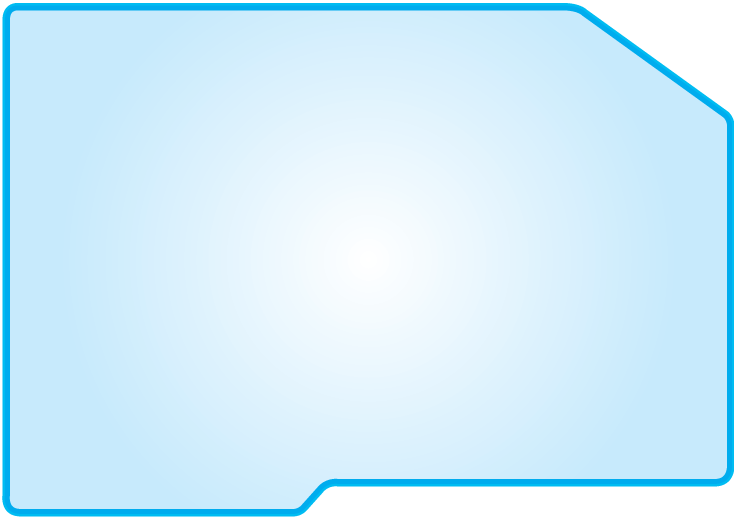 Nylon tubing protects string from worn grommets. Available in clear and black.